The “Family Car” lesson materials can be used in a myriad of ways, and we have received many wonderful ideas from teachers. Some of their ideas are listed below, and you’ll also find Lesson Plans, Games and Activities, Assessment Tools, and Other Resources. Your additional ideas and materials are always welcome: contact us here; and if you are in one of our grant funded programs, please include ideas on your class record forms. Here are some of the ways that other teachers have used or augmented the lesson, The Family Car, in their classrooms. We hope you will find them useful in your own classroom, or as a jumping-off point for your own creative ideas for using the lesson materials. Using all three levels in the same class as a listening exercise—After reading through each, students tell what new information they got out of the story. Using the fact sheet—Write several of the facts on the board, making one statement false. Students choose the false one and correct it. The lesson is a good tie-in or beginning point with other discussions on recycling and the environment. Take students out to look under the hood of a car. Point out the things from the lesson, and also show students where to check the oil. Have students work in pairs to look up new vocabulary words in the dictionary. Have more advanced students take the lesson home to teach to very new immigrants and report back. Using a local recycling guide, assign different sections to smaller groups of students; groups reported back to full class on what they learned from their section. Another listening practice—Have students listen to the story, take notes and answer verbal questions. Have students write complete sentences on board using vocabulary words, correcting any mistakes as a class exercise. Using fact sheet as basis for discussion. Break students into pairs: an interviewer and an interviewee. Have them take turns asking and answering questions about recycling. Use the pens or other prizes as rewards for correctly answering questions. Assign the crossword puzzle as homework. Use the fact sheets on used oil and filters to design math lessons. Locate used oil recycling centers on a local map. Play “hangman” using the vocabulary words. 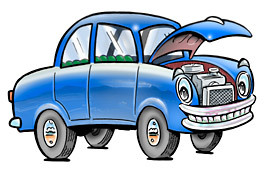 Find songs about cars and have students sing along- good for pronunciation. Assign as homework: have students show and tell someone else what they learned today and report back. Have students color the pictures on page 3 of the lesson to better identify them. Use bingo as a review the next day. For more advanced students: introduce the vocabulary first, use critical thinking skills to determine how these words might relate to each other, before reading the stories aloud with pronunciation practice and discussion. Combine the pictures in Story 1 with the words in Story 2 and have the students match. Use the “Oil in Water” activity to start the class, introducing the concept of mixing clean and dirty water, than transfer this concept to motor oil. Have students act out or role-play an oil change, using the realia. Create additional vocabulary words for the parts of a car (headlights, steering wheel, engine etc.) and have students identify them on page 1 of the student book. Cut the “steps” in Story #3 into strips. Have students arrange them in order in front of the class and then read them again. When playing Bingo- give a pen when the student understands the vocabulary words on their card. Have students make up questions using the information on the fact sheets for question formation review. The lesson works well for practice using the imperative tense. Have students practice giving instructions on how to change oil. Have students sequence story #1 using teacher-created sentence strips and enlarged picture cards. Have students use the internet to look up related information such as photos and articles about the Exxon Valdez disaster, and about re-refining of used motor oil. Have students write sentences about the picture on page 12 of the lesson book. Heinle Picture Dictionary pages on “Energy, Pollution, and Natural Disasters” tie in well to this lesson. Use the article “Recycling used motor oil” in the April 2006 issue of “Easy English Times” for review. Discuss the importance of minimizing driving- walking, bike riding, taking the bus- as much as possible. Use paragraphs from the “Key Messages” page in the teacher packet as a dictation test selection. After 1 week of study, have students write the selection as a dictation. After completing the “True-False” exercise, have students change each false sentence to make it true. A couple of teachers have written that they would like to see prepared lesson plans. If anyone would like to send a plan you’ve created we would love to post it! Debbie Cates of Napa Adult School assigned students to go home and use the student lesson book to tell someone else what they had learned. They were to report back orally, saying, "I told ___________ about recycling oil and oil filters. They said they would take their used oil and filter to ___________ the next time they changed their oil." Gen Zembal of San Mateo Adult School created this crossword puzzle for more advanced students. Olivia Adendorff of Manteca Adult School created this word search. She also made a blank bingo game with the oil recycling words as an alternative to the pre-printed version we provide. Chris Roeske of West Contra Costa County Unified made these handouts prompting students to write examples of different kinds of pollution, etc. Maliheh Vafai of Overfelt Adult Center suggests using the first page of the lesson book to introduce additional vocabulary about cars. Aleth Reilley of San Mateo Adult School gave some examples of ways she used the vocabulary to practice different modals with an advanced class. Chris Santos of ESUHSD in San Jose provided these materials: a writing exercise for beginning low level students; a naming activity including parts of a car; and a word search. Lindabeth Schmucker from Solano County created several activities to accompany the Family Car lesson. Information Gap Exercise introduces vocabulary using a dialogue between partners. Affirmative and Negative Statements, Yes or No Questions, and Information Questions all accompany Story Level 1. Missing Words uses Story Level 2. Internet Exercise with Partner uses an on-line search engine to find used oil recycling centers, and can be adapted to your local area. Laurie McGee of La Sierra Adult School in Fullerton created this picture assessment for her school’s EL Civics unit on the environment. She also created an additional assessment tool specifically for the Family Car unit. Hennie Van Konynenburg of Modesto Junior College created this multiple choice quiz using information from the student lesson and the fact sheets. A list of steps to performing an oil change, in simpler language than the one in the student lesson book. Created by Karen Wilairat of West Contra Costa Unified, who suggests using it as a “Total Physical Response” lesson. An alternate version of Story Level #3 in the student lesson book, by Lia Smith, City College of San Francisco. Laurie McGee of La Sierra Adult School in Fullerton put together this power point presentation as part of her school’s EL Civics unit on the environment. Ellen Holmgren of Elk Grove School District made this illustration of “Why Cars Need Oil” and started her multi-level class with a talk on the mechanics of an engine.